Are you looking for holiday sales on your favorite clothes, shoes, handbags and fashion brands? We are looking for great deals also. What is in store for us the Monday after Black Friday? Cyber Monday is a marketing term for the Monday after the Thanksgiving holiday in the United States. The term "Cyber Monday" was created by marketing companies to persuade people to shop online. It has become one of the busiest online shopping days of the year in the United States. When does it start and who will have the best deals for consumers? When? Technically, Cyber Monday is November 27, 2017. The Romans began the "day" at midnight, a practice continued to this day in the modern Gregorian calendar which itself is a modification of the Roman Julian calendar. Therefore, according to Apparel Search, Cyber Monday is the 24 hour period starting at November 27, 2017 at 12:00AM (and one second). It lasts until 11:59PM (and 59 seconds). Regarding the actual sales, some of the stores stretch the timing. It is important to note that "Monday" has been stretching into "Cyber Week". The discounted sales opportunities online has certainly stretched to a several day period. Who? Any retailer with an online presence is capable of having a Cyber Monday sale. Obviously we are only interested in "fashion" relevant stores. However, it is important to keep in mind that even electronics stores on occasion sell clothing or fashion accessories. For example, a store such as Best Buy could possibly be selling tech or gaming relevant t-shirts, hats, etc. Here are a few of the many retailers that we would recommend that you investigate for the 2017 Cyber Monday sales. Target, Walmart, Macy's, Best Buy, Overstock, Kohl's, JCPenney, and obviously Amazon. What are good gifts for fashionistas this year? Obviously, you can't go wrong with shoes, handbags, designer jeans, etc. We can't promise that all of your favorite designer brands will be on sale. However, it is certainly possible that you will find what you desire and at a fair price if you shop around. 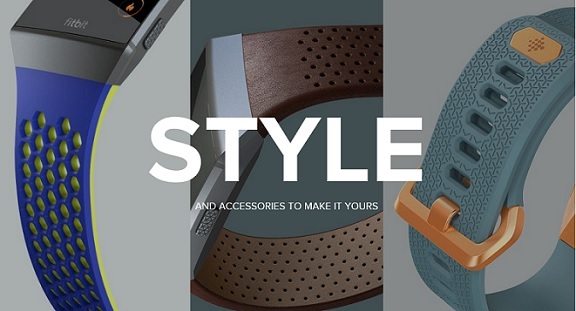 Fitbit - fashion accessory that also helps you stay fit. Sure, this has been around for a few years so it's not like we found a new undiscovered amazing fashion tip this year. However, staying fit is "always" in style. Fitbit has extended their offering. Have you seen the Fitbit Ionic. It has personal coaching, built-in GPS, Heart Rate monitoring, and is water-resistant. Possibly more important for stylish people, it has customizable clock faces. The colors are currently Charcoal & Smoke Gray, Slate Blue & Burnt Orange, and Blue Gray & Silver Gray. Also, they have accessories such as bands to make it more yours. Maybe you will get lucky and find a deal on a new pair of UGG boots. Many of the retailers allow consumers to sign up for email to get the scoop about cyber week and other exclusives and promotions that take place during the holiday selling season. Find top deals, weekly ads, flash sales, and more. Just remember, similar to last year and the year before, "clothing" is they way to go if you are looking to give gifts for the holidays. No one likes getting video games or mobile devices. Electronics is out of fashion. Purchase sweaters, jeans, boots, and socks for all of your friends. That is the best way to help support the apparel industry. It is never too early to start planning your shopping strategy for the 2017 holiday sales season. Visit your favorite websites now because it is very possible that they have already put up their sales flyers (circulars) or at least some sort of notification regarding their up coming promotions.